In this two minute HR Blast from Jaluch we focus on ‘waste’ in HR. 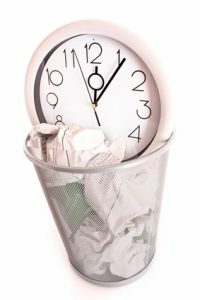 We don’t think that HR is often subjected to a ‘waste’ assessment (have you ever done one?) but if HR expects other functions to operate efficiently, then there is no reason why the HR function should not operate that way too. Besides, wouldn’t it be great to know that you have single-handedly created a lean, mean HR machine! Take a look at what we have set out below. These are the typical areas of ‘waste’ that we see. Which of these create the greatest ‘waste’ in your business? (When talking about ‘waste’ we are referring to anything that results in wasted time, resources, energy or duplication of effort etc.). Q. If you could identify just one action to take to minimise waste in this area, what would it be? Not understanding the value of money (or even how revenue is generated within the business!) which then impacts on absence management, performance management, training decisions, recruitment decisions etc. We have to stop here, but this list could go on and on. What actions have you identified for your organisation? But also, what if anything will stop you from taking these actions? Its often said that HR needs to learn to be more commercial, so if you can identify ways to tackle ‘waste’ then, perhaps this is your opportunity to lead the way and establish HR’s commercial credentials … once and for all? Too close to see what’s not needed or what’s out of date? Ask us how an HR Audit could help you analyse and prioritise. No time to develop the skills and confidence of your line managers? Talk to us about our training programmes. Limited resources to outsource your training needs? Deliver our tried and tested courses yourself with one of our Bags of Learning. Inbox collapsed under the weight of paper? Let us come and review and redraft those polices, contracts, procedures and forms that are blocking progress.